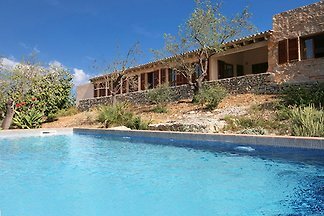 Wonderful and pretty country house in Arta for 6 people. Welcome to this spectacular rustic villa in Artà, with a wonderful garden surrounding the great pool, where up to 8 people will find their second home. Fantastic town house in the centre of Arta, with spectacular views to the majestic church, the ancient wall and the mountains. It offers accommodation for 4 people. Wonderful villa for 6-7 people with private swimming pool and garden in the outskirts of Arta. This wonderful rural house at Artá outskirts, with a private swimming pool and views to the mountains, welcomes six guests. Rent successfully your holiday flat or holiday home in Arta in only 20 minutes !